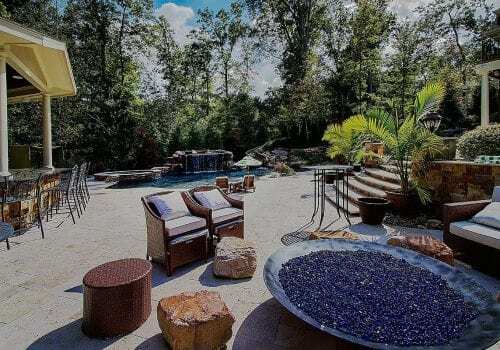 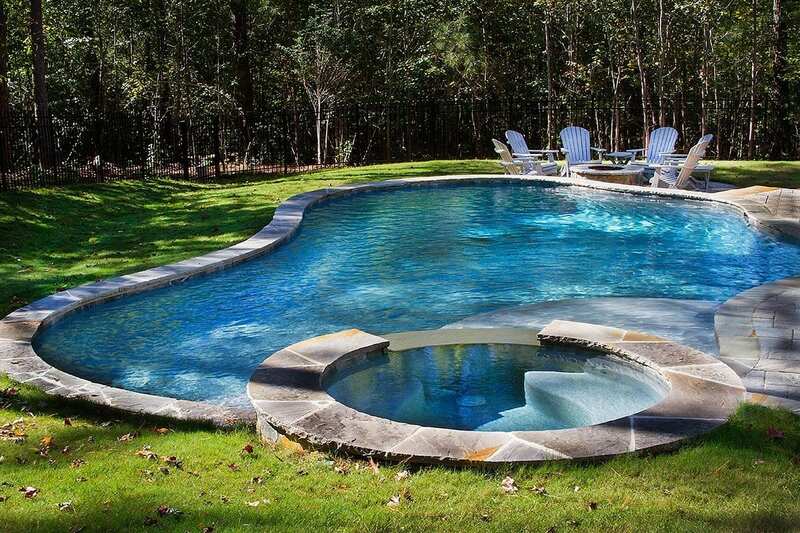 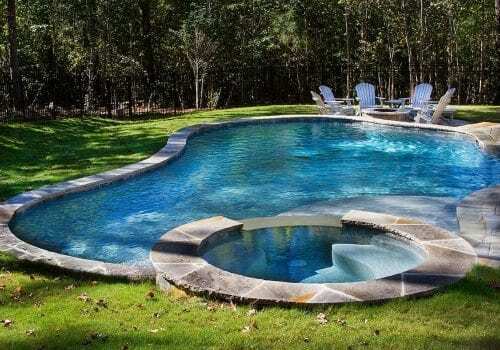 At Blue Haven Raleigh Pools and Spas, we believe that no backyard retreat in Raleigh or anywhere in Central North Carolina is complete without a custom-designed and built concrete spa or hot tub. 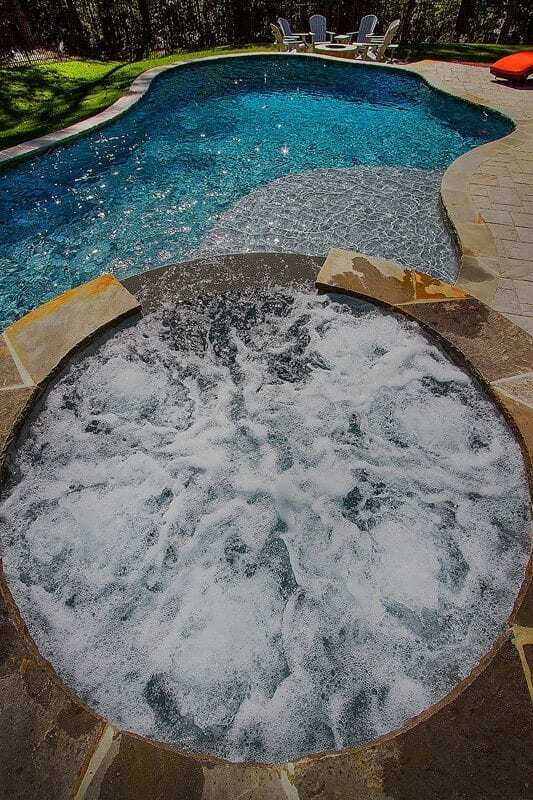 That’s why we offer a comprehensive range of spas and hot tubs that are carefully tailored to fit your outdoor space, your goals, and your unique design aesthetic. 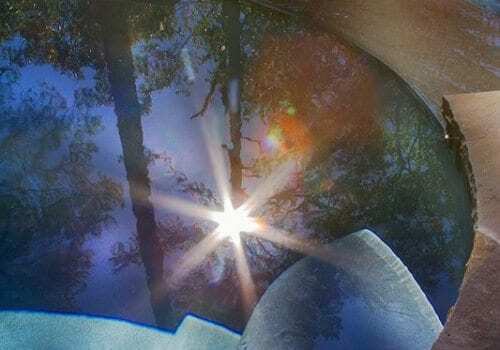 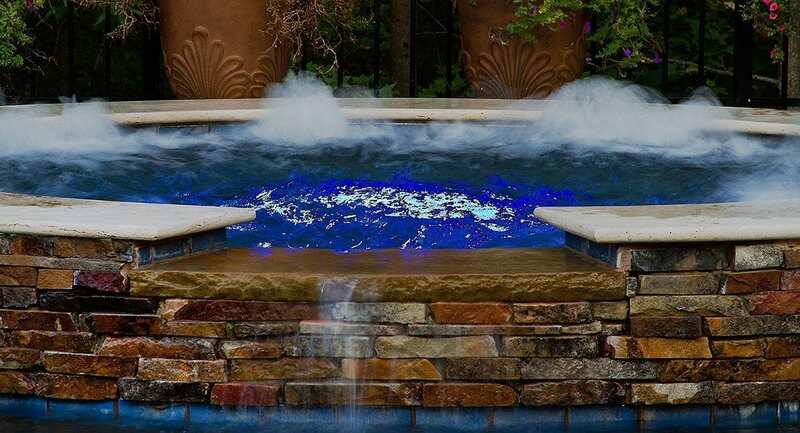 The results we deliver are custom spas and hot tubs that appear completely unlike any others in our area while performing flawlessly and standing up to a many years, and even decades, of enjoyment. 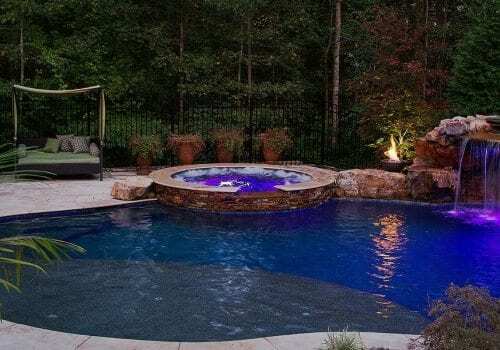 The Blue Haven Raleigh team is capable of designing and building custom spas and hot tubs in virtually any size, shape, and configuration using a wide array of premium decking materials. 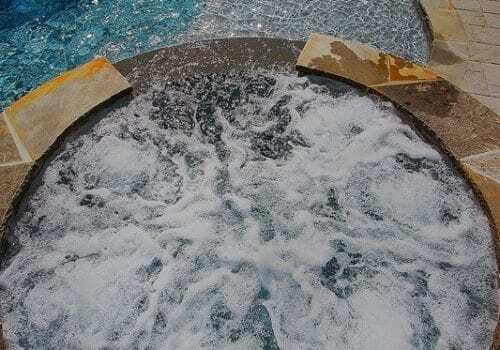 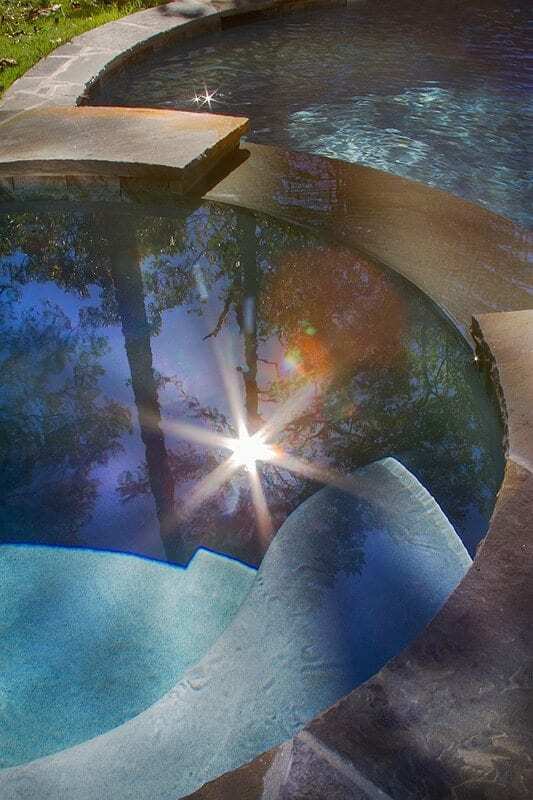 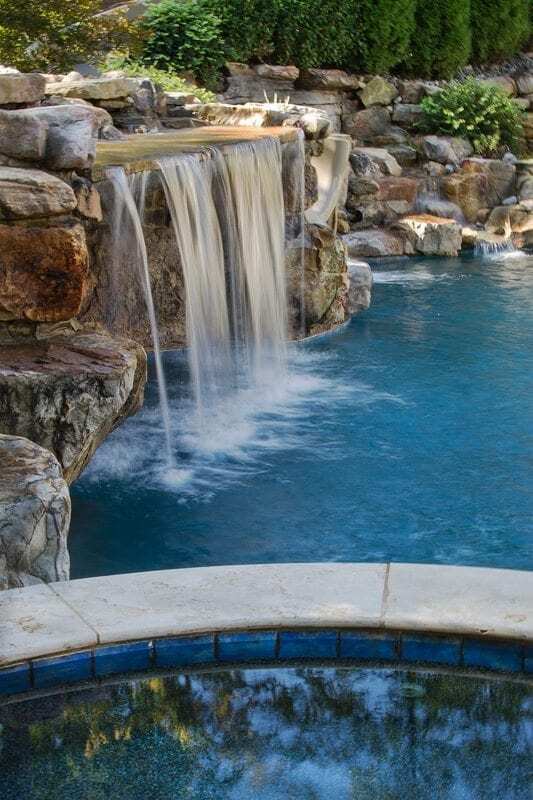 The most common style we offer is known as a “spillover spa,” which is connected directly to your custom pool with an overflowing design that creates an attractive waterfall from the spa into the pool. 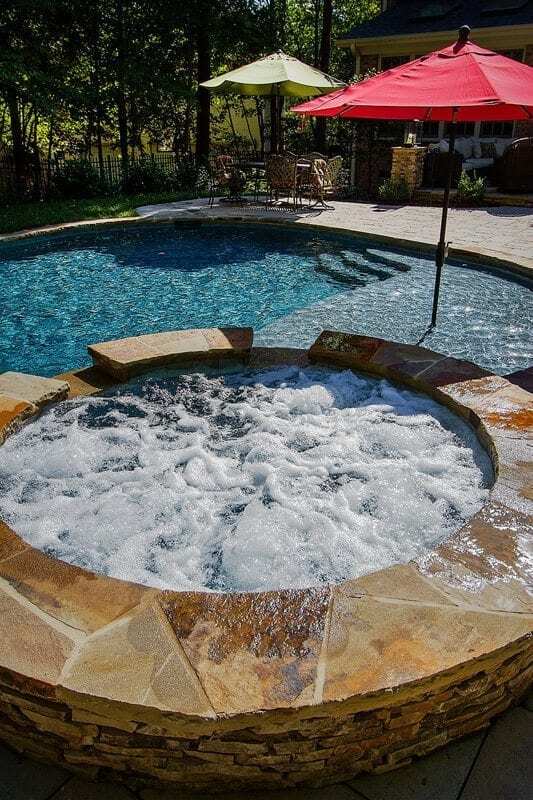 We also offer striking yet understated perimeter-overflow spas with hidden overflow edging. 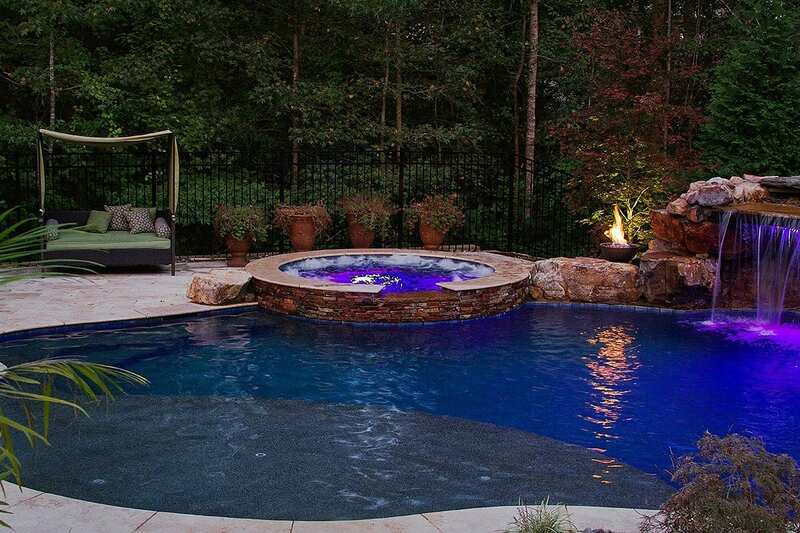 Finally, we can design and build custom free-standing hot tubs that are separate from your custom pool with standalone functionality. 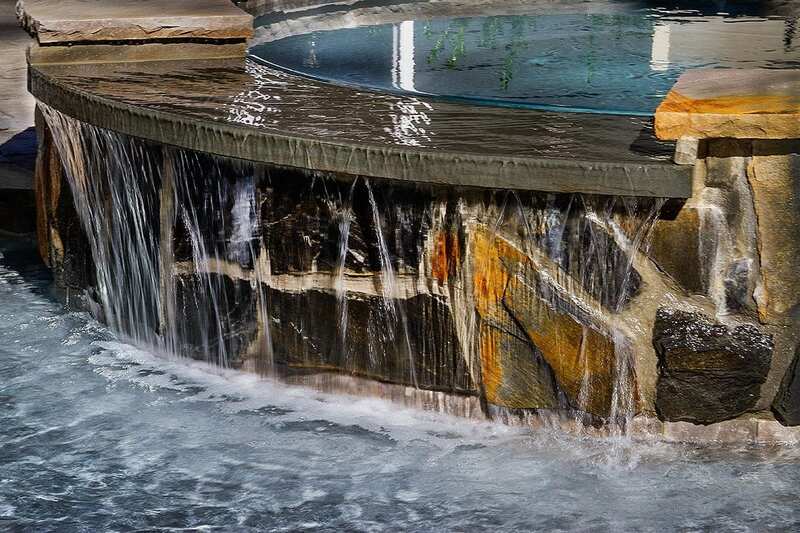 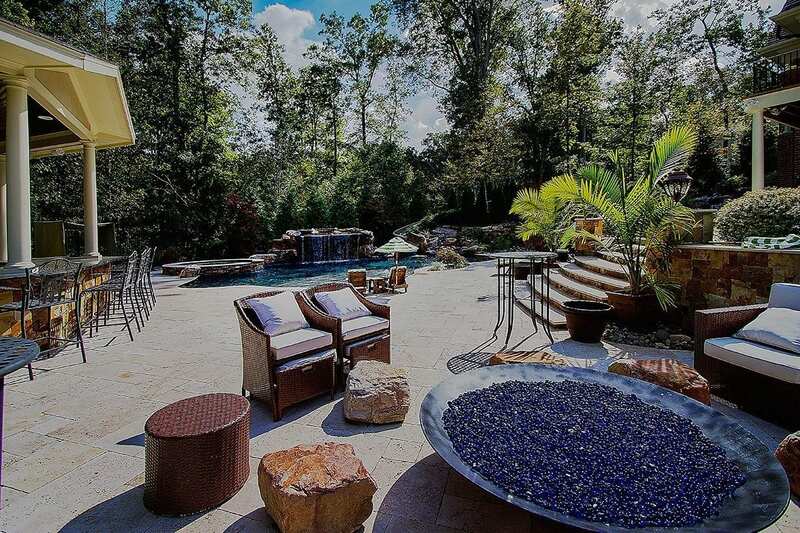 No matter what type of spa or hot tub we are including with your hardscape and custom pool, Blue Haven Raleigh will ensure a seamless, flowing aesthetic that’s artistic, cohesive, and highly functional. 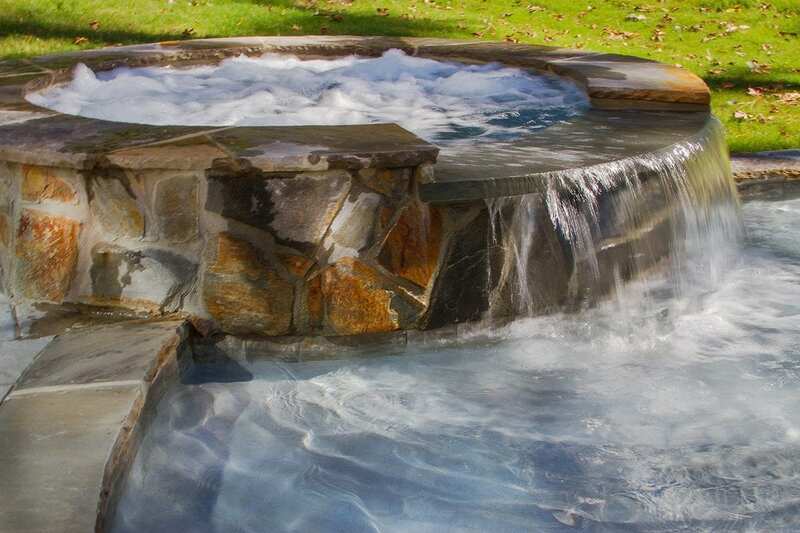 All of our custom spas and hot tubs come equipped with the latest, greatest technology—from the best heating, pumping, filtration, and jetting equipment available to cutting-edge remote operation and diagnostics systems. 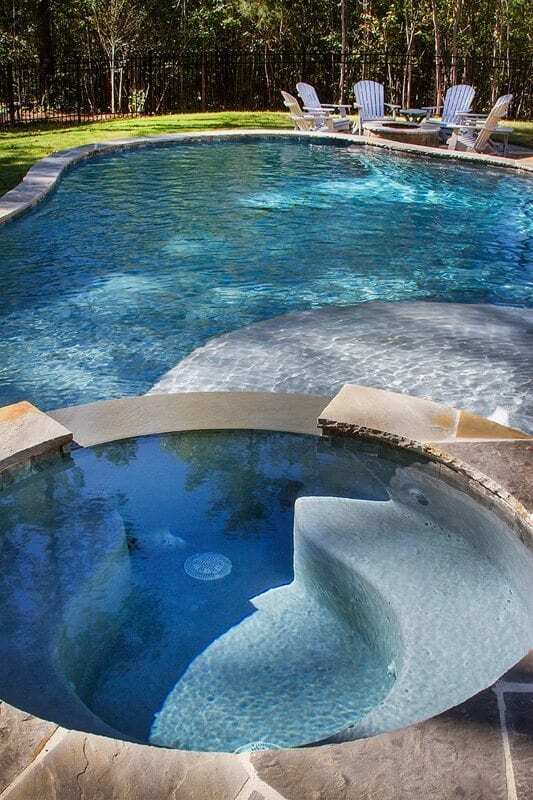 Using our Android or iOS app, you will be able to check the status of your spa or hot tub and control all of its heating and jetting functionality remotely, anywhere you can connect to the Internet. 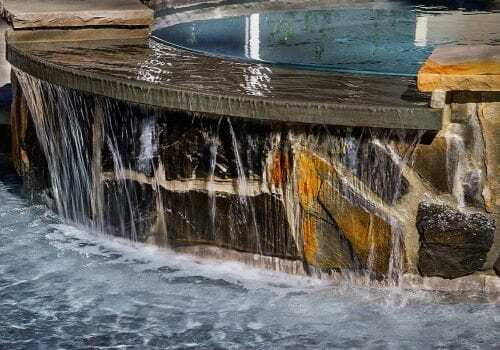 We can also use these remote operation systems to run diagnostics on your spa equipment without having to visit your home, leading to fast and accurate service should any issue arise. 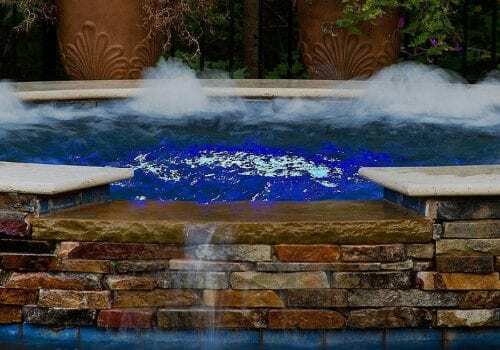 With the latest technology from Blue Haven Raleigh, your spa or hot tub will be ready to deliver endless relaxation and reliable performance.